NEW PATTERN! 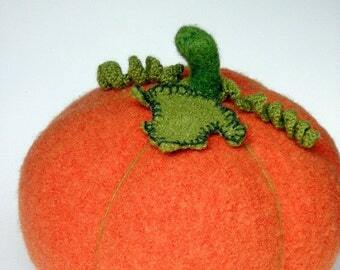 A knit & felt holiday place setting design. 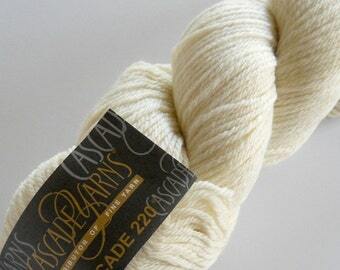 This pattern is a quick and easy knit using worsted weight yarns and size 10.5 double point needles! Create a memorable impression with your display of decorated trees for your next holiday gathering. Treat each guest with a special gift to take home with them. 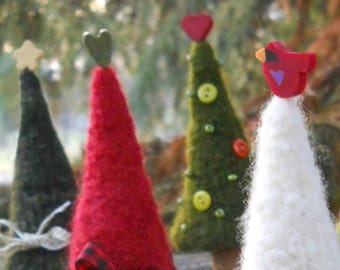 Each felted tree measures about 4-inch/10-cm tall including trunk. 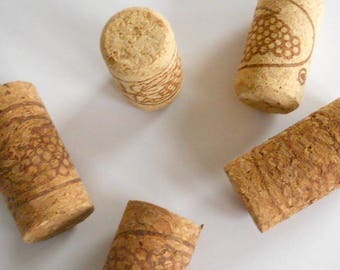 The trunk can be a wine cork or cut from a tree branch. 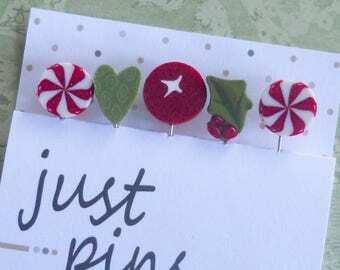 Embellish with ribbon, a string of beads, button polka dots, and/or simple embroidery! 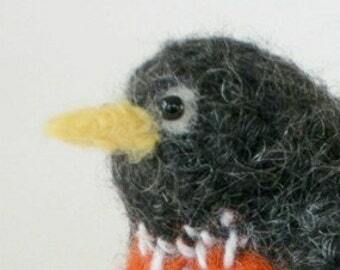 Skill Level: Intermediate Knitter, requires double point needle experience. 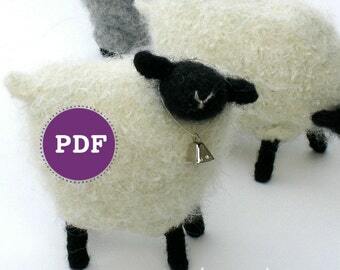 This pattern is an 9-page PDF pattern. NOTE: Once payment is received, the pattern will be available here on Etsy for downloading. COPYRIGHT NOTICE: Your purchase of this pattern constitutes your agreement to use this pattern only for personal, non-profit use without my specific written permission. You may print one copy for personal use but may not print multiples to distribute, nor may you share the digital file. Thank you for your cooperation! 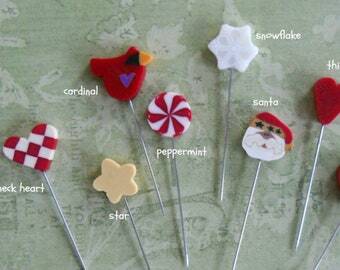 MISTLETOE HOLIDAY PINS. 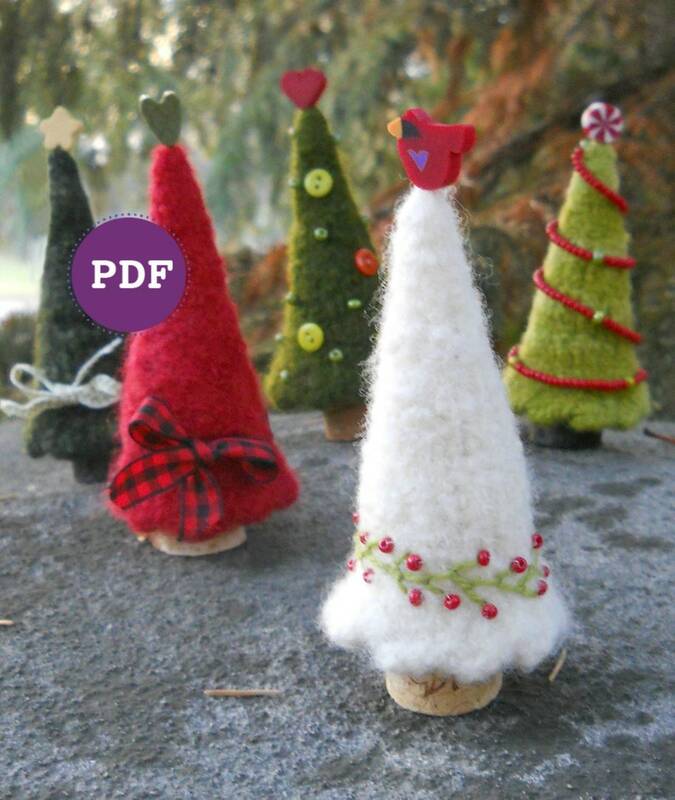 Perfect for Decorating Ornaments & Pin Cushions and Woolly Pine Trees pattern. 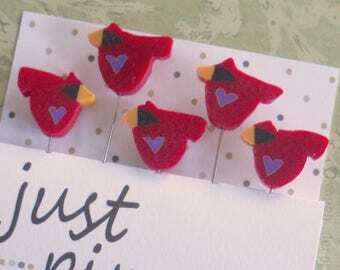 RED CARDINAL PINS. 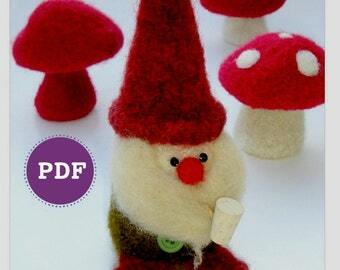 Perfect for Decorating Ornaments & Pin Cushions and Woolly Pine Trees. Instant download. 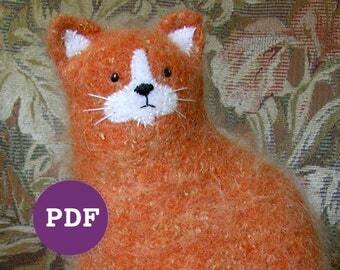 As with all of Marie''s patterns, clever shaping and thorough, well written directions. 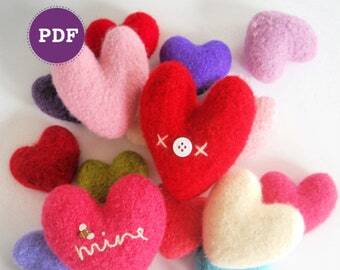 This is a really cute and fun pattern! I can't wait to make some!